IT was Sorious Samura, the Sierra Leonean documentary film maker, who invited global attention to the egregious humanitarian crisis and human-made crimes, which stole the spotlight during the 11-year civil war in Sierra Leone that left 50,000 dead. These grim and gory sights, which were underreported by the Western media, he recorded with his rounded lenses and creatively dubbed Cry Freetown. The ugly live feed won him laurels and shot him from obscurity to international reckoning. The documentary tells the sad tale of morbid ambition pursued wildly by the twin consequences of unbridled cravings for power and plenteous dollar notes from diamonds. As the trappings of war ravaged Freetown, another African country on the Central African tip, Rwanda, was reveling and quaking in the glee and brutality of genocide, displacing its motto of unity, work and patriotism. To the war mongers, it was an unprecedented ecstasy and pride. To the victims and unwilling fighters, it was the most harrowing episode in the history of the country; a time to appreciate the futility of existence, including the cheapness and costliness of human lives. To live, you must pick up the rifles. The Hutu and the Tutsi came out of the maelstrom of tensions with expressed penitence and a renewed sense of humanity. If war is food and bullets the water, ask the chopped skulls of Kigali. The slippery history of Africa chronicles infamous reports of ethnic joust, civil strife, political instability, bitter tribal rivalry and indelible poverty, which have blown the continent an ill wind of death and destruction. The clichés of continual crises in Congo, Somalia and Darfur plus a few other African countries seem to suggest that the Black communities only have the dexterity to create a stifling heat of chaos not technological and scientific inventions. The political personages that call the shots on the continent have become active slaves to the thrills and seductive push of power. Power enslaved Muammar and sweetened Ghadafi to death and desert. It costs this array of leaders nothing to adorn the scrawny shoulders of malnourished and largely suffering African children with an assortment of war devices and feed their mouths with war mantras. This is the only legacy they can give to government-acclaimed leaders of cloudy tomorrow not education, not balanced plate of food, not potable water but wounds that prick the minds for misguided revenge and disguised objectives. Just when we thought there was a lull on the battlefield and peace gradually returning to the continent, equanimity was again ambushed in the Central African Republic (CAR). South Sudan, the newest addition to world map also embarked on short walk to crisis in which personal enmity spells collective tragedy for lovers and haters of war. The remote cause of the current madness in the fledgling nation of South Sudan started as the country was born and christened. The leaders of the main ethnic constituents, Dinka and Nuer that gallantly fought for the secession of the country built its foundation on self-seeking and covert interests. To them, it was a platform to share the perquisites of power and exchange long-standing political egos and these have further underscored the length and breadth of the porousity and vulnerability of minds of those we call leaders in this clime. They hold no dream and direction for their impoverished people. They are millipede leaders. The widespread violence in Juba and other volatile regions have turned the nascent country into a mortuary of sorts. Sadly, according to reports, the Sudan People’s Liberation Army (SPLA), the country’s army, now obey tribal orders. Ethnic loyalty has eaten up loyalty to the country. The slew of claims from government’s camp averred that the fire of atrocious eruptions was first kindled by soldiers who are supposedly saddled with responsibility of external security. President Salva Kiir Mayardit, a Dinka, has repeatedly accused his former vice-president, Riek Machar, who was sacked in a major cabinet reshuffle last year of being the mastermind of an alleged coup attempt on his government by a faction of the SPLA, mostly of Nuer stock, loyal to Machar. Although Riek, a Nuer, has issued a strong denial, accusing Kiir of pandering to power politics, despite his denial, it’s crystal clear that he has a stake in the cauldron of violence as is the President. Or why would he sign a ceasefire deal if he didn’t accept the responsibility of spreading the inferno. With talks underway in Ethiopia, peace might just be on the horizon. But how invaluable is peace to abused children, defiled women, amputees of hostilities and peacekeepers hacked down by child soldiers. What future holds for children trained in the sartorial art of war? Militancy and its older sibling: terrorism. In streets, dead bodies are as visible as grains of sand with blood congealing into blobs. Human lives have been sloughed off their toga of sacredness. Roughly speaking, the International Crisis Group on January 9 put the death toll at about 10,000. Estimates provided by the United Nations Office for Coordination of Humanitarian Affairs have also stated that close to 413,000 people are internally displaced while 66,500 are seeking refuge at the United Nations bases around the country and more than 74,000 have fled to adjoining countries in search of new religion: peace. If the heart-wrenching news from Africa’s newest has again confined the continent on the flip side of history, the Central African Republic (CAR) crisis would probably seal its fate as a cesspit of warfare and despotic reign. The CAR has one of the worst histories of political unrest since it obtained independence from France in 1960. It has been sliding from one army coup d’état to another, no fewer than three coup attempts reportedly hit the rocks in 2012 alone. According to Amy Martin, country head of the UN Office of Coordination for Humanitarian Affairs (OCHA), CAR was a failed state before. Now, it’s just getting worse. Many an analyst and watchers of the disastrous events that have swept through the country like gusts of wind have pinned the blame of the spate of endless killings and general feeling of insecurity on former President Michel Djotodia’s rash handling of the dastardly and outrageous acts of his Seleka rebels. This has led to religious war among the Seleka Muslims, Anti-Balaka: A group of Christian militias and the animists. Mr. Djotodia loved the rebels more than the civil populace because they installed him after ousting his predecessor, Bozize. Unfortunately, this is a potentially rich country where pervasive poverty spreads like harmattan fire. But now that Djotodia has been forced to resign, it remains to be seen whether his successor and first female president of the country, Madame Samba-Panda, would flourish where men of warring minds have failed. We wish her the best. While the drums of conflict reverberate across Africa and people dancing to their messages, the thought that comes to mind is whether the Nigerian ruling class has learnt some hard lessons from the crass misadventures of its troubled neighbours. What informed this thinking is the barrage of inflammatory pronouncements and warnings of war from officers and hangers-on of the main political platforms, the Peoples Democratic Party (PDP) and the All Progressives Congress (APC), ahead of the 2015 elections. Latest in the series is the recent perfunctory outburst of an ex-militant, Asari Dokubo, to ignite a festival of rage if President Goodluck Jonathan is not reelected in next year presidential election. While this may be dismissed as an atrophied ranting of a shallow mind, it is important for the security agencies to go beyond the ritual of summon and stem the tide of this mannerism by applying the law against him and his ilk before the die is cast. More worrisome is the pandering to religious sentiment by players of politics with a view to dividing the country along religious lines, perhaps for the ballot. With these unsavory developments in Nigeria, there is need for political parties, their paid agents and ordinary citizen alike to tread with caution and restraint in their utterances as word is an egg and has an inherent inciting power. The country is for all adherents of faiths and tribes. We must not also forget in a frenzy of fleeting ethnic power that what binds us together is not only the bond of religion and tribe but the priceless thread of humanity. It is not untypical of politicians in this part of the world to pit compatriots against themselves to achieve the ephemerality of power and comfort for their bloated political empires. Political campaigns and tactics in civilised climes are predicated on socio-political and economic policies not on sensitive theme of religion and tribe. Religion cannot give us standard arteries, functional hospitals, food security, stable electricity, shelters and relevant educational curricular, only visionary and public spirited leadership from any tribal set-up can. Therefore, it is very important for African political leaders and their army of hirelings to understand that planting violence and hateful ruthlessness in the minds and hearts of unsuspecting populace is not the first, middle as well as last resort to settle perceived injustice in this thinking generation. More importantly, we must imbibe the spirits of love and forgiveness by discontinuing the idea of setting Africa as a testing ground for western weapons of mass extermination. 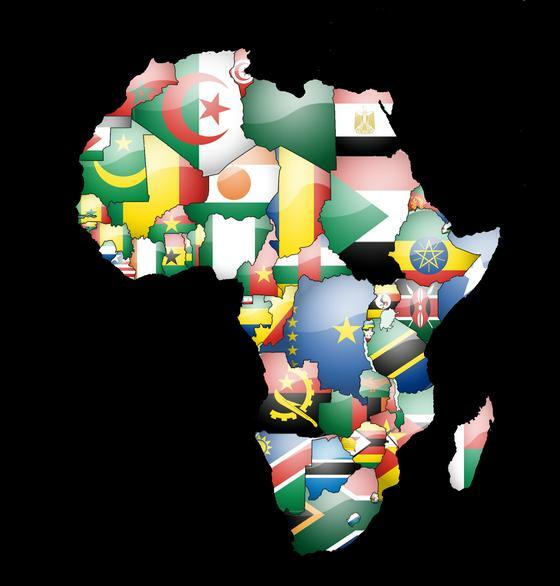 To the makers and promoters of war in Africa as well as international and regional organisations, such as the United Nations, African Union and ECOWAS working genuinely assiduously to end the perennial snag of atrocities and human rights abuses across Africa, in the bowel of history lies the greatest reward of all times. • Taiwo wrote from Lagos.